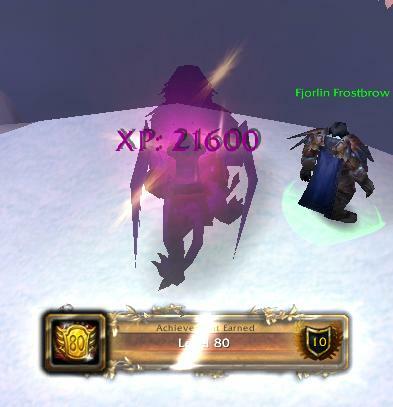 My draenei priest hit 80 a few days ago. Yay! I had gotten her through 79 almost exclusively through random dungeons, but she only had a sliver of a bar left and I didn’t want to ding in an instance so out questing I went. She doesn’t have an 80 sponsor, so it’s up to her to unlock the pervy quests in Storm Peaks. (Polishing the helm, hee hee.) Here is the exact moment of the ding, unfortunately my picture taking skills aren’t the greatest. Then it was back into instances for more emblems and gear. More on those experiences later. Imagine my surprise when I opened it and reins fell out. Thank you, sweet baby Jesus. My CDO made me buy dozens and dozens of these faileggs (DIAF, Tel!) with nothing but sadness to show for it. And now I never have to buy another freakin’ egg again. Also, on my last ICC run, Zarigar also hit exalted with Ashen Verdict. Woot! Spiffy new ring with a gem socket = Rawr! There’s no picture of that because I’m too classy to flash my bling. 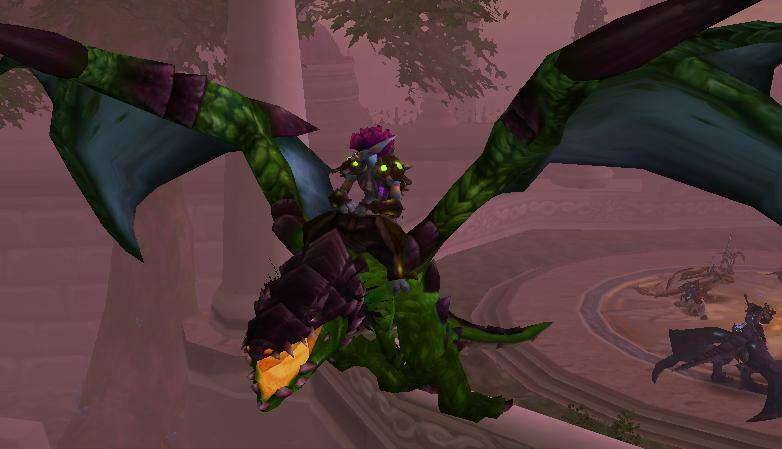 This entry was posted on April 11, 2010 at 6:00 pm and is filed under Achievement, ICC with tags Achievement, alliance, alt, happy, World of Warcraft, WoW. You can follow any responses to this entry through the RSS 2.0 feed. You can leave a response, or trackback from your own site. grats on the new 80 and drake!